It’s not just me, right? That building totally looks like a giant chocolate fondue pot. On our May 2016 trip to Japan, we wanted to see what local artisan chocolate is like in Tokyo and Kyoto. 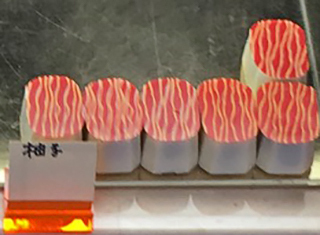 We were, of course, super excited to visit our own SFBA Dandelion Chocolate’s Tokyo location, but we were also curious about what’s happening with Japan’s homegrown artisan chocolate scene. Although Ronnie & I don’t speak Japanese, we figured chocolate would be enough of a common language that we could learn what’s unique and interesting there. We checked out a few places for ourselves, and concluded that Margo is not entirely wrong. The shopping experience is wonderful: Pretty shops, pretty packaging, interesting-sounding flavors, and very polite staff make for a fun time, which I think might be more of the point for most Japanese than the actual chocolate. As I understand it, chocolate is a customary gift on Valentine’s Day, as it is here in the U.S., but with a twist: women are expected to gift the men in their lives with chocolate on this day, and not just those in whom they have a romantic interest. They give store-bought chocolate to co-workers, bosses, and guy friends. Boyfriends and husbands get handmade chocolates, because that’s true love. There’s more to the Japanese chocolate scene than weird KitKat flavors from Nestle’s and bars like these that sound like they should be really super dark, but contain milk powder and other additives (from Meiji, the Hershey’s of Japan). Since it’s usually an obligatory gift, it seems there is less at stake in making chocolate in Japan. As a result, the shopping experience is great; the chocolate, not so much. It shouldn’t be that way: Chocolate has a long history in Japan. In the early 1900s, Japanese confectionery company Morinaga started selling its own domestically produced chocolate, becoming, according to its website, “the first bean-to-bar manufacturer” in Japan. (However, it also states that the cacao beans were grown in Japan, which seems doubtful because Japan isn’t close enough to the equator.) 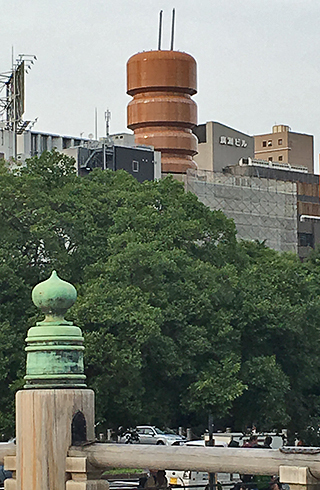 When we visited the Advertising Museum in Tokyo, we saw a couple of Morinaga’s rather trippy chocolate commercials from the 50s & 60s (one for a bar called “Yell” featured a man in a hot air balloon leading people on the ground in a rousing cheer). Morinaga continues to sell chocolate candies today, although most Americans probably know them better for their soft, fruity Hi-Chew candies. Instead, we focused our tasting on local artisan chocolates in the 2 cities we visited, and while I can’t claim to have experienced the whole gamut of artisan chocolate there, I can say I found some good chocolate in Japan. In addition to Dandelion Chocolate’s factory+store, we visited 2 artisan chocolatiers in Tokyo, Décadence du Chocolat and Musée du Chocolat Théobroma, and one in Kyoto, Chocolat Bel Amer. We were very lucky when we visited Décadence du Chocolat in the Ginza because the counter person had spent a lot of time in California so language was no problem. Higashi wasn’t a chocolatier, but she was helpful in showing us which chocolates were uniquely Japanese. We tried the Ume, a dark chocolate flavored with plum wine; Ocha, a dark with green tea; Litchi, a dark with lychee puree & liqueur; Satsuma, a dark with a milk ganache flavored with Imojochu (sweet potato spirits) and sweet potato; and Sansho, a dark with Asian pepper. 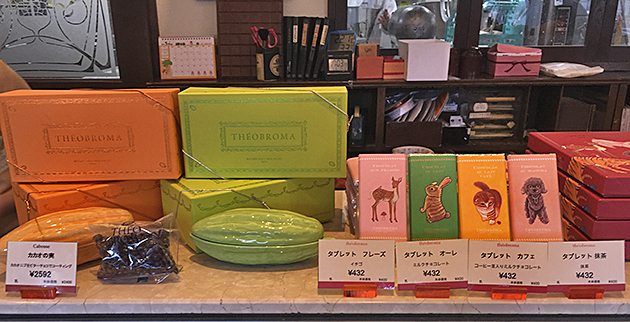 Décadence du Chocolat’s line of 29 truffles includes uniquely Japanese flavors like the Satsuma, flavored with sweet potato spirits, and the Ume, flavored with plum wine. These are good chocolates with a very smooth ganache and strong chocolate flavor. We liked them, but found the flavorings too subtle. I couldn’t taste plum wine in the Ume, just felt a little alcohol numbing at the end. The Satsuma had a distinct taste, but it didn’t seem like sweet potato or even booze. In fact, each one tasted different from the others, but if I didn’t know what was in them, I wouldn’t be able to guess. 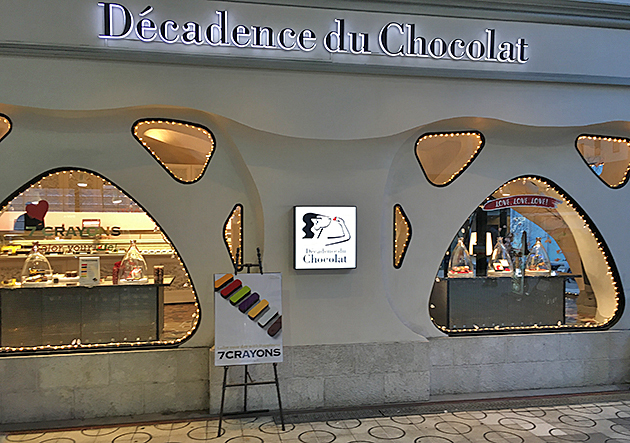 We had the same problem with their new product offering: the brightly colored “7 crayons” — nice tasting chocolates, if a bit too sweet for me, but I couldn’t tell what flavors they were supposed to be without looking at the menu. We found this to be a common theme in the Japanese artisan chocolates we tried: very subtle flavors supporting the chocolate. I prefer flavored chocolates that run through a progression of flavor notes, or have big bold tastes. I liked Décadence’s chocolates — they are not overly sweet, they have a lovely chocolate flavor and creamy, smooth ganaches — but I would prefer the unique flavors do more than support the chocolate. Décadence du Chocolat is housed in this cool, funky Art Nouveau-meets-The Hobbit store underneath an elevated expressway. We asked Higashi what their best-seller is, but she wasn’t sure because they had only been in this space for 9 months and she was fairly new to the business. But she did tell us her personal favorite was the Rocher Noir, so we tried that too. This was a different experience: A dark chocolate with almond & hazelnut praline and cacao nibs, it was a creamy/crunchy chocolate with a strong hazelnut taste. We West-Coasters must think alike. There was no mystery about what we were eating. Higashi also recommended their “cigars,” which are brandy-infused truffles rolled in chocolate flakes and shaped like cigars. 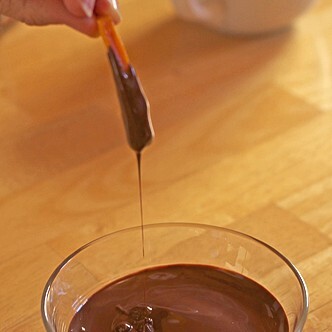 These were more satisfying to us than the subtle truffles because there were more brandy notes in the chocolate so the taste seemed more balanced to us. Our next visit was not as easy. Musée du Chocolat Théobroma is tucked away on a small street near the Harajuku district and other interesting sites, so it seemed easy to get to, but even with GPS on our iPhones, we got lost and wandered a bit before we found it. 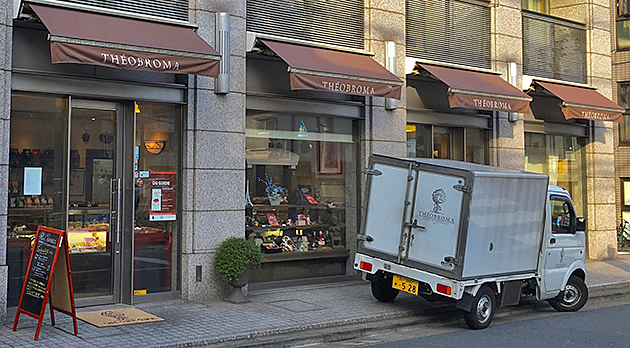 Once we got close, there was no overlooking it though: A series of brown awnings with Théobroma written on them, windows crammed with chocolate references — plus their little white truck parked on the sidewalk in front and prominently displaying their logo — all told us we had found the place. Inside they have a loooong display case with lots of chocolate inside. Like Décadence, they have a variety of truffles, although with a more European flavor profile: liqueurs and hazelnut paste, which makes sense since Théobroma’s chocolatier spent 6 years in Paris learning how to make chocolate. Since we can’t read Japanese, we just took a chance on this one. They also have a lot of bars and molded chocolates, so you can find gifts for any chocolate lovers on your list. At the end of the space is a small café where you can enjoy hot chocolate and desserts — kind of like a mini-Angeline’s, transported from Paris. A really lovely place to hang out for a bit. However, the staff’s English was minimal, so while we could communicate enough to purchase chocolates, we couldn’t ask any questions about the chocolate. I couldn’t find out about their unique products — like the little tins of “caviar” or the bags of what looked like polished pebbles or what was in the special white truffle we bought — beyond what little English or French there was on the packaging and signs. So we bought a few truffles to try and a box of their chocolate “flight” — eight squares of chocolate, each with a different amount of cacao, from 46% to 90%. Theobroma offers a lot of cute gift options in addition to a full line of truffles. Like Décadence, the chocolates were good quality chocolate, and again the added flavors were very subtle. We could not decipher what the white chocolate truffle was even after tasting it — it seemed a little sour/fruity/citrus-y to us, but remains a mystery. 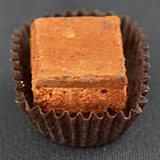 Even the Parapara truffle, which was listed as pepper flavored, was subtle — instead of a hot pepper, there was a ground black pepper flavor at the end along with some peppery grit from a sprinkling of black pepper on the outside of the chocolate. Of the samples we tried, only the Zea, which was coffee flavored, had a strong taste aided by the crunchy coffee grinds in the ganache. I was intrigued by the Tomate (tomato) listed on the menu — that’s not a chocolate flavoring that you see everyday — but it wasn’t in the case that day. We were only in Tokyo a few days, so we haven’t even skimmed the surface of local artisan chocolate there. 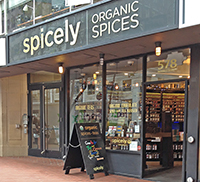 Others we look forward to checking out in the future: Le Chocolat de H, Mont St. Clair, and Green Bean To Bar Chocolate. Just another reason for planning another trip! 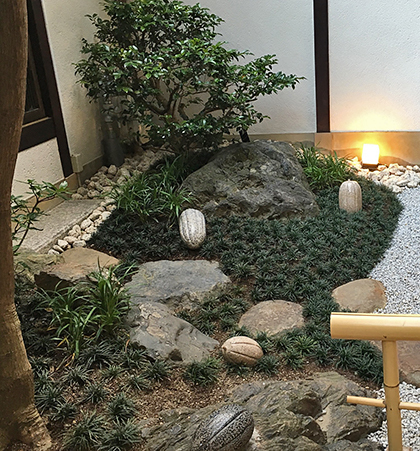 On this, our first trip to Japan, we also visited Kyoto, which is known for its temples and tea — it’s where the tea ceremony originated. Although it was only May, it was super hot and humid in Kyoto. Not ideal weather for chocolate touring: we skipped the hot chocolate and chocolate fondue, which left us with not a lot of options for exploring the local chocolate scene. In fact, the time to check out chocolate in Kyoto is probably around Valentine’s Day. A lot of local tea companies and other food companies create special chocolate-themed items for the holiday. I would love to try the fresh strawberries dipped in chocolate, then rolled in matcha green tea offered by one of the tea shops there, but they only make them in wintertime. As in Tokyo, there were mainstream chocolates everywhere, including imported French chocolates, but the artisan scene is small. We met up with fellow CBTB chocolateer, Martha, who was visiting Kyoto at the same time, and checked out Chocolat Bel Amer, a Japanese chocolate maker with stores in several cities. They are known for their extensive line of chocolate mendiants, 2-1/2″ rounds decorated with fruits, nuts, candies and chocolate paints, in a wide range of flavors from green tea to sake to black bean. 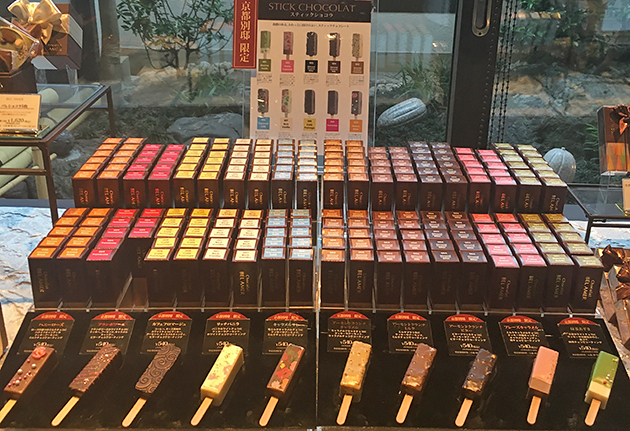 They also make “Stick Chocolate,” which look like very pretty ice cream-sicles, but are chocolate with different flavors and decorations. We opted for a sampling of their traditional truffles and their line of tea-flavored jelly chocolates. They also offer the jelly-filled chocolates in sake flavors, but since we were in a tea town, we thought we’d try local. The traditional truffles we tried were more flavorful than we expected based on our recent experiences, but very sweet. For example, the Praline had a strong sesame flavor, which was a nice Asian twist on praline, but it was in a super sweet milk chocolate. The matcha green tea truffle had a very matcha tasting smooth ganache with a powdery texture afterwards — pretty cool taste sensation — but the white chocolate base was too sweet for me. The tea jelly chocolates were similarly too sweet. The jellies were really interesting: firm, chewy, with unique tastes (the “deep steamed” green tea from Shizuoka Prefecture was the weirdest: vegetal/grassy with mushroom overtones), but the chocolate wrapping the jellies was disappointingly sweet and a little grainy. Better chocolate would have helped — or maybe forget the chocolate and just put the jelly in mochi balls for an extra-chewy treat. We didn’t have enough time in Kyoto this time to get a real feel for the chocolate scene. 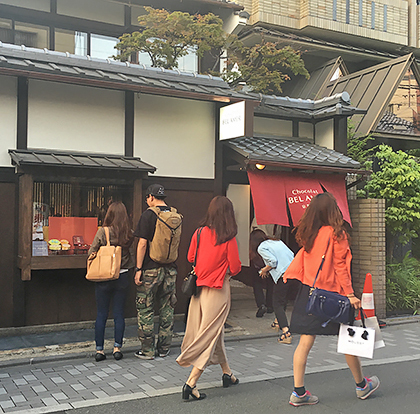 Next time I visit Kyoto, I’d like to check out Dari K (and their chocolate sake in a bottle shaped like a cacao pod), Cacao 365 (to see the uniquely Japanese designs on their chocolates), and Cacao Magic, a raw chocolate shop. But first, I must learn some chocolate-related Japanese phrases so I can converse with Japanese chocolatiers and find out what’s happening in their own words. Date posted: June 21, 2016. This entry was posted in Chocolate around the World, Featured, Front page, Outside the Bay Area and tagged bourbon, Chocolat Bel Amer, Décadence du Chocolat, Ginza, Harajuku, Japan, jelly, KitKat, Kyoto, Lotte, Mary Chocolate, matcha green tea, Meiji, mendiant, Morinaga, Musée du Chocolat Théobroma, sesame, tea, Tokyo, Valentine’s Day. Bookmark the permalink.